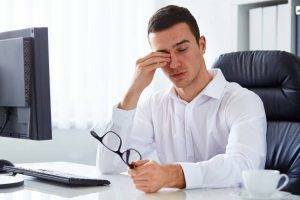 Red eye and dry eye syndrome are quite easily confused. Both conditions include itchy, red and dry-feeling eyes. Dr. Curington has compiled some points of essential knowledge below, to help his patients recognize the indications of this uncomfortable and painful eye condition in a more timely fashion, so that they can prevent prolonging the pain and discomfort of this extremely uncomfortable.